Healthcare at home is the official in home healthcare provider for Pakistan’s leading hospitals including Doctors Hospital Lahore. We provide nursing care at home, trained attendants at home, and physiotherapists for in home visits who have passed our rigorous hiring standards and have had their backgrounds and medical knowledge verified by senior doctors. We also facilitate lab tests at home and medical equipment rentals, making healthcare more convenient & easy for our patients. Our offices are located at Doctors Hospital Lahore, Lawrence Road Lahore, and Asad Center Gujranwala (Munir Road, Kachehri Chowk). 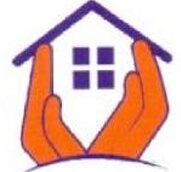 Shumaya Home care offers hospital-quality healthcare in your home across Punjab, North and surrounding cities. Our extensive network of highly qualified doctors, nurses, nursing assistants, physiotherapists, and pathology lab technicians provide at home visits to help you recover faster & live better. We offer nursing care at home, elder care at home, physiotherapy at home, trained attendants at home, Speech therapist at home. 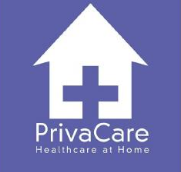 All of our staff have passed our rigorous hiring standards and have had their backgrounds and medical training/education verified by our senior doctors to ensure you receive the best medical care possible all inthe comfort of your home. Your request is submited successfully our team member will contact you soon...!! !